If you didn’t get the chance to make the most of the Black Friday and Cyber Monday sales, don’t worry there’s still 21 days to Christmas, plenty of time to get those gifts ticked off the list. If you don’t have a list and are still looking around for ideas, maybe we can help! Here are a few of the business our lenders have supported recently, who might be able to help you finish off your Christmas shopping and you can do it all from the comfort of your couch whilst sipping your festive tipple of choice! 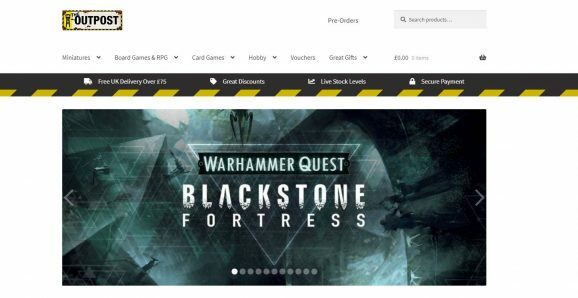 OPWG’s online store, The Outpost, stocks a huge variety of board games, miniature figurines, card games and more. These include popular brands and franchises such as Warhammer, Star Wars, Dungeons and Dragons, Dr Who and Superman and Batman collectibles! If you know someone that would love something from this store, but you’re not sure about what to buy them, you can also purchase gift vouchers so that they can choose for themselves! For those super fans that you know, we’re sure that they’d love to get their hands on some collectibles and games as soon as they’re released, you can make their Christmas by ordering through the Outposts pre-orders section! The Outpost are offering FREE delivery on all orders over £75! With such a great range of products and services, you’re bound to find something here for someone on your list, even if it’s just a stocking filler! Leave the diet until January, December is for eating enjoying and over indulging on all those things you love best. If sweets are your thing or you know someone that has a insatiable sweet tooth (we all know someone), then get your order in now on Candy Hero. Candy hero stock a huge range of sweets form around the world, especially from places where e-numbers are not a worry! Aside form their huge range of ‘all year round sweets’, they also sell a variety of special Christmas Candy and gift packs! Candy Hero offer free delivery on all orders over £35.00 and promise that if ordered by 2pm they’ll ship it that day and to anywhere in the world! – Perfect for those relatives abroad! Go on and treat yourself or someone you know, or at the very least add some candy canes to your tree this year! Some people just love the cold and frosty days of December, apparently in December the cold weather is ‘Christmassy’! Cold ‘Christmassy’ December days are one thing, though we’re not sure we often hear people saying they love the long, cold and dark January and February days that stand between us and Spring! If you’re someone who loves to travel, could do with some sun, or just know someone that would love an adventure, why not browse the range of trips offered by Invasion? Advertising getaways to Bali, The Philippines, the Maldives, South Africa and Thailand just to name a few (warm places), it’s hard not to be tempted! We all know those people that come the 6th November are far too eager to get their Christmas decorations and trees out. If you, like many of us in the office haven’t yet got around to getting your Christmas decorations sorted, then have a look at the great range of Christmas indoor and outdoor decorations from SLK Retail! If you’re one of those that does love to go all out and have been decorating since November, why stop now? 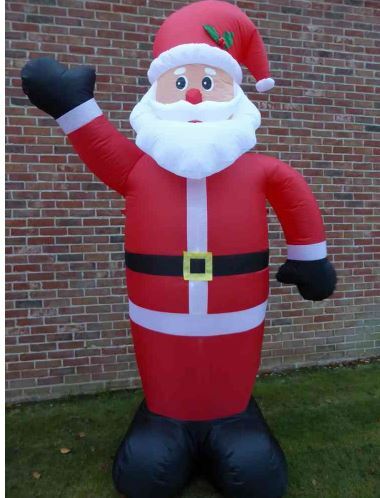 Have you got an 8FT Inflatable Santa with LED lights in your garden? – No? Well then, don’t be out done! – Get yours now!! If you really don’t need any more decorations, then maybe start making some purchases for BBQ season, such as new outdoor furniture or just browse the ‘Gifts for him and Her’ section for some great ideas! rebuildingsociety.com are proud to have a community of lenders that genuinely care about supporting the businesses that they lend to. Being part of the rebuildingsociety.com community is about more than just finance, it’s about supporting British businesses, developing local economies and generally making a difference!